William C. Bechtold passed away Saturday, April 13,2019 surrounded by family. Born in Minnesota on the 19th of October, 1937, and in 1961, he and his wife Margaret were married. After graduating from the University of Minnesota in 1962 with a degree in Electrical Engineering they moved to Laurel, Maryland. He moved to Frederick, Maryland to be close to family in 2017. He is survived by his wife, Margaret, three children, William C. Bechtold, Jr., Elizabeth Bechtold Rivera and Kathleen Bechtold, and five grandchildren, William and Jennifer Bechtold, Allison and Therese Kortte, and Catherine Rivera. 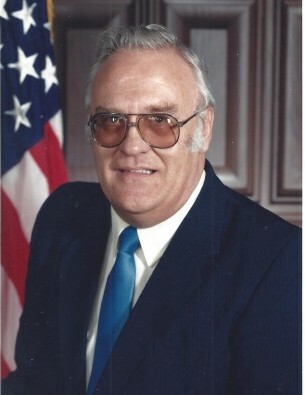 Mr. Bechtold was a career government servant, which included two years active and five years reserve service as Army Military Intelligence Officer after which he enjoyed thirty-nine years in government research and development. He never imagined that his work would contribute to the emerging technologies, on which rely today, he felt like it was a dream come true conducting hand-on work related to antenna and electromagnetic propagation techniques. He enjoyed recognition in his field from his peers and global experts. In addition to research he mentored young engineers, developed and taught formal post -graduate course related to antenna theory. In addition to being a member of several technical societies, he participated in the Washington area Catholic Cursillo movement, was a founding member of St. Nicolas Catholic Church, Laurel, Maryland, member and past Grand Knight of Patuxent Counsel, Knights of Columbus, Laurel, Maryland. Services were held St. Nicholas Catholic Church, Laurel, Maryland with internment at Gate of Heaven Cemetery, Silver Spring, Maryland.